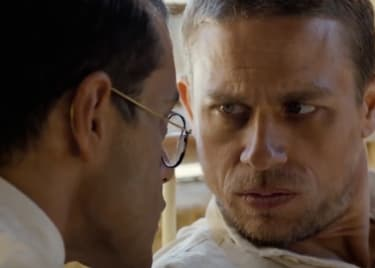 Making a film based on any true event is a serious undertaking, one that must be handled with the utmost sensitivity and commitment to accuracy. But a film based on a horrific terrorist attack? There are few words to describe the immense responsibility to justly tell the story, without exploitation. The people Maras was referring to: 500 Taj staff members who refused to leave their guests. 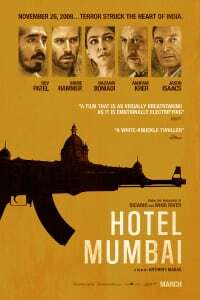 Though there were multiple strikes throughout the city over the brutal four-day attack, HOTEL MUMBAI is centered around the siege on the landmark hotel. In the film (and in real life), renowned chef Hemant Oberoi (Anupam Kher) risks his life to keep everyone safe. A waiter (Dev Patel) — a representation of various heroic workers — also helps guide people away from the roaming terrorists. 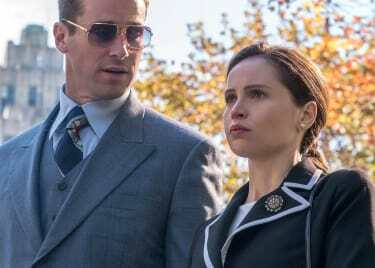 As chaos erupts around them, a desperate couple (Armie Hammer and Nazanin Boniadi) is forced to make unthinkable sacrifices to protect their newborn child. HOTEL MUMBAI is an emotional, gripping story that stays tied to humanity in the face of extreme evil. As tough as it is to watch, the film is meant to honor the victims of the 26/11 terrorist attacks. At the HOTEL MUMBAI world premiere at the Toronto International Film Festival, the real-life chef Oberoi was in attendance and received a standing ovation at the end of the movie. See HOTEL MUMBAI at AMC theatres this weekend.